By far the most commonly requested treatment we get in our office is teeth whitening. It seems that everyone these days wants whiter teeth. I get all kinds of questions about whitening, and I thought this would be a great topic to kick off our blog. So here we go – five things you need to know about teeth whitening in Baton Rouge! #1: It is extremely safe. Whitening is one of the most widely studied procedures in dentistry, and it has been proven safe time and time again. So rest assured, you won’t harm your teeth by whitening them. #2: It can hurt. While it is extremely safe, it can cause some short-term sensitivity or discomfort. This is because the active ingredient in all whitening products, hydrogen peroxide, actually penetrates tooth structure to oxidize stains within the tooth. The discomfort is temporary, and will go away. However, it can make whitening more difficult for patients with overly sensitive teeth, as there is a minimum amount of contact time required for the whitening product to work effectively. I find most patients can whiten safely and effectively without a huge amount of sensitivity if they decrease the amount of time they whiten, and don’t whiten on consecutive days. #3: There are multiple ways to whiten, but all of them use a version of the same active ingredient. Every whitening gel product (NOT toothpastes, mouthwash, gum… more on that next) uses a version of hydrogen peroxide to oxidize stains. The difference is in the strength, and delivery system. While your over the counter white-strip products provide the weakest strength and least efficient delivery system, the kind of whitening gel you can get from a dentist is much stronger, and can be delivered in a way that makes better contact with the teeth, and whitens more effectively. #4: Whitening toothpastes aren’t a good way to get whiter teeth. The key component to effective whitening is hydrogen peroxide (or carbamide peroxide, another version of the same ingredient). Whitening toothpastes use more abrasive particles in an effort to reduce surface stains, which typically aren’t what cause teeth to discolor over time. This is both ineffective, and can actually cause more damage to your teeth, as the abrasive particles can, and likely will, remove healthy tooth structure over time – especially with improper amount and technique. #5: Studies have shown the best way to get whiter teeth is with a two-step approach. First, an in-office whitening treatment, provided by a dentist. With these types of treatments, the strongest whitening gel available is placed on the teeth, after a barrier is placed on the gums, and the lips and teeth are retracted to prevent any injury from the strong gel. This step typically whitens teeth several shades in one visit. However, by following up with professional strength whitening gel delivered in a custom-made whitening tray, patients will get the best whitening results. Plus, you always have your whitening trays for when you have a special event in the future, and want to do a little touch-up whitening. Simply ask for some whitening gel when you come in for your regular visits! Whitening is a great option for a lot of patients. While some may need more involved cosmetic work to get the results they desire, whitening can be a great option to brighten up your smile and give you a boost of confidence! Thanks for providing us this kind of information. Teeth whitening is one of the most sought-after effects in cosmetic dentistry. It’s not permanent, but the procedure can last as long as three years. If you take great care of your teeth, you’ll enjoy better results. Be mindful of things like smoking, coffee, tea, soda, wine, and some foods, which can stain your teeth again in a hurry. 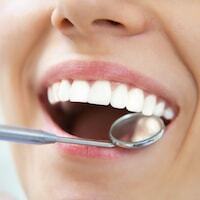 These are some amazing facts regarding teeth whitening. I actually agree that teeth people get scared while dealing with teeth whitening treatments. But they are actually safe and one can easily get a teeth whitening treatment. Thanks.